The newest interactive experience at Walt Disney World debuted last week, pitting guests against Disney villains in a virtual battle to save the Magic Kingdom theme park. It’s called Sorcerers of the Magic Kingdom and it gives guests magic spells in the form of trading cards to aid in their quests to defeat (among others) Jafar, Ursula, Maleficent, Dr. Facilier, and the villain ultimately behind it all, Hades. Of course, all the battle takes place virtually, in a technology-driven role-playing video game of sorts, centered in screens secretly tucked away throughout the park. It’s an experience like no other in Disney’s theme parks and one that’s been years in the making. Interactivity is a growing trend among Disney attractions, with newer rides like Toy Story Midway Mania and Buzz Lightyear’s Space Ranger Spin both based on the concept, and older rides like The Haunted Mansion and Space Mountain being retrofitted with “scene one” interactive elements, offering guests a chance to “play” before riding. 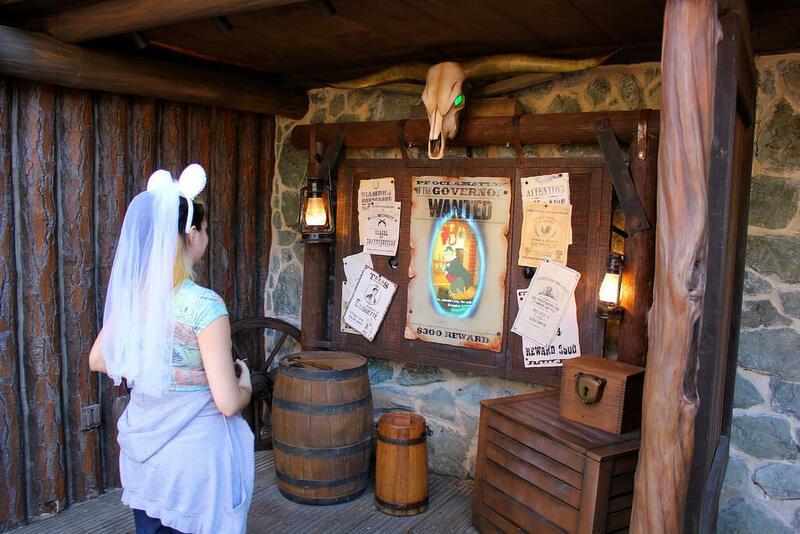 But fans of the traditional passive Disney experience – you wait, you sit, you watch – have recently wondered just why Disney is emphasizing these interactive experiences so much lately, particularly at Walt Disney World. Creating new Disney attractions is always a team effort, with Walt Disney Imagineers spending countless manhours designing, developing, and even conjuring up a bit of magic, to form what is ultimately a one-of-a-kind experience. But in the case of Sorcerers of the Magic Kingdom, there is just one man who not only came up with the idea, but also led his team of Imagineers to see it through to its Feb. 22 completion. His name is Jonathan Ackley and his formal title is Project Producer & Creative Director at Walt Disney Imagineering. But to fully understand the whys and hows of creating Sorcerers of the Magic Kingdom, it’s helpful to take a peek into Ackley’s background and experience, both at Disney and beforehand. His Disney credits also include R&D consulting at Walt Disney Imagineering, with projects including mobile technology and interactive television. And before his time at Disney, Ackley helped create the popular LEGO Mindstorms programmable robotics and the even more popular Lucasarts point-and-click adventure series in the ’90s that includes games like The Curse of Monkey Island, Full Throttle, Day of the Tentacle, and Sam and Max Hit the Road. It’s clear from his project history that Ackley has a passion for interactive gaming, one that he has brought to Disney’s theme parks and even cruise ships with great success. And his latest project is one of the most ambitious yet. How and why was ‘Sorcerers’ created? Imagineer Jonathan Ackley describes Sorcerers of the Magic Kingdom as a “trading card role-playing game come to life.” But despite his experience in the highly-technical world of computer programming, Ackley insists the creation of the new experience was rooted in what Disney does best: storytelling. Why did you decide to add a park-wide interactive game to Walt Disney World? When did you begin working on Sorcerers of the Magic Kingdom? But what of the notion that Disney attractions are leaning toward interactive experiences in favor of traditional dark rides and theater shows? Many park regulars prefer the latter, wondering if Disney intends to emphasize interactivity in all of its new attractions. Ackley insists Disney is not leaving behind its roots. Has recent guest feedback told you visitors are looking for a more active role than a traditional passive ride experience? The components that form the interactive elements of Sorcerers of the Magic Kingdom are the trading cards – spell cards – that guests use to play the game. 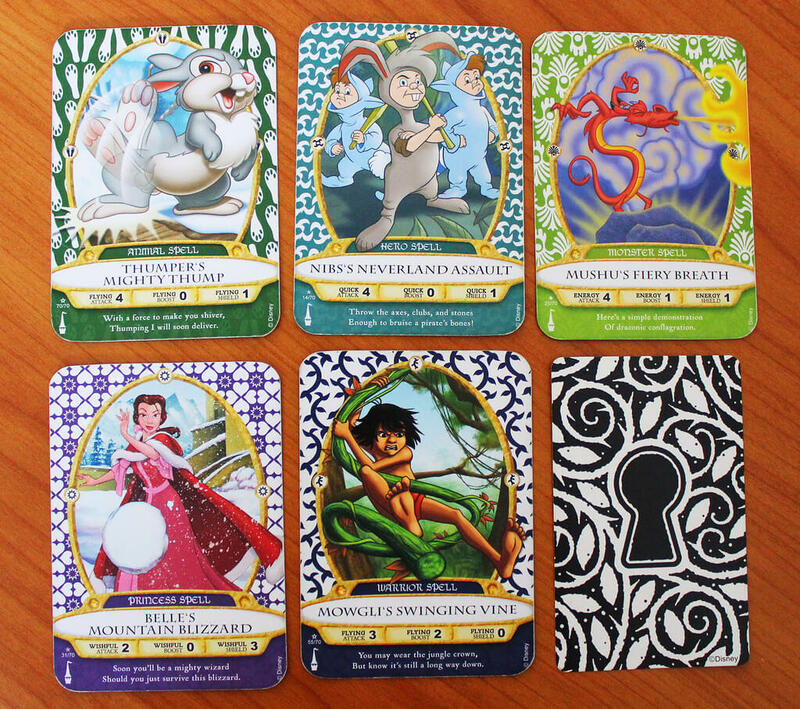 Each features a different Disney character, each with his or her own unique spell. How did you decide which characters and spells to include and how many laughs were had while doing so? Sorcerers of the Magic Kingdom is more than a typical Disney experience. It’s a game, but a game for which the rules have not been entirely clear. But guests playing should not become frustrated, instead embracing the challenge. Walt Disney Imagineering has on purpose withheld all of the details behind how its gameplay works, inviting guests to discover them while playing. And no two experiences are exactly alike. 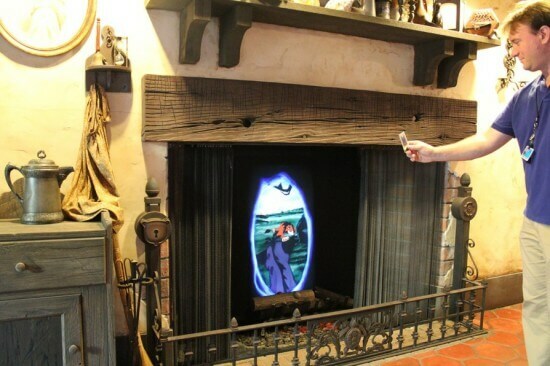 Imagineer Jonathan Ackley demonstrates casts a spell using a trading card in Sorcerers of the Magic Kingdom. Is there a skill to be developed in the game? How do guests know which spell cards to play and when? Since Sorcerers of the Magic Kingdom first began guest testing earlier this month, fans – particularly Disney theme park regulars – were both excited to play the new game, but also raising many concerns, even complaints, about what the experience does and does not involve. In sitting down to chat with Jonathan Ackley, I wanted to be sure to address all of those major concerns and give him a chance to explain how Disney has proactively worked to ensure the experience is not only new and fun, but also fits in with the rest of the park. What feedback have you received in the first few weeks of testing Sorcerers? 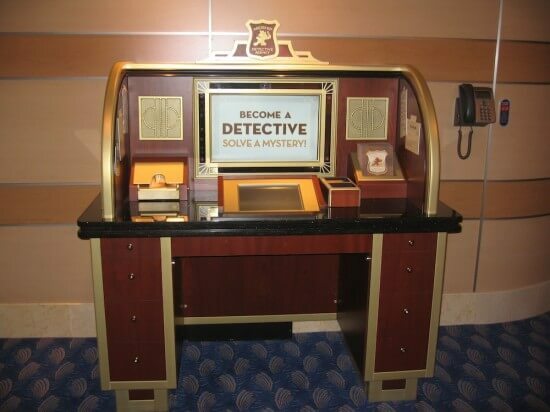 Is it fair to compare Sorcerers of the Magic Kingdom to the other Disney experiences you’ve recently worked on, the Midship Detective Agency and the Kim Possible World Showcase Adventure? The Midship Detective Agency aboard the Disney Dream cruise ship. Why was it decided to base Sorcerers of the Magic Kingdom on screens rather than physical elements and effects like Kim Possible World Showcase Adventure? Have you addressed the game’s noise level interfering with its surroundings? A guest plays Sorcerers of the Magic Kingdom in Frontierland. How will you deal with the lines forming in front of each magic portal? With last week’s official debut of Sorcerers of the Magic Kingdom, many are left wondering if the experience is truly complete in its current state or if there will be more to it in the future. Though Disney has not announced any specific plans, Ackley doesn’t rule it out. 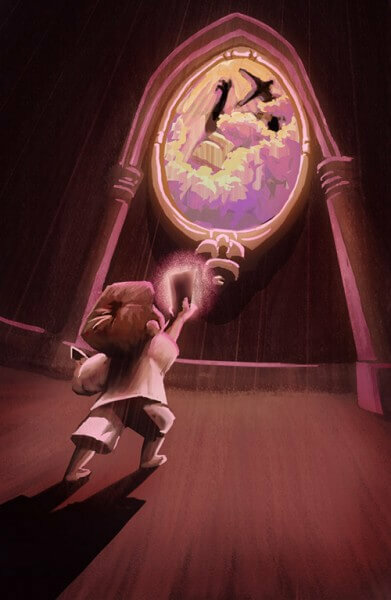 Will Sorcerers of the Magic Kingdom expand to New Fantasyland, Tomorrowland, or even a home version of the game? Are there any plans to integrate figurines (a la Skylanders) or any other gameplay aspects, or is Sorcerers of the Magic Kingdom strictly a trading card game? Is Sorcerers of the Magic Kingdom complete? Sorcerers of the Magic Kingdom made its official debut on Feb. 22, 2012 and is now open for all guests to enjoy at Walt Disney World’s Magic Kingdom theme park. 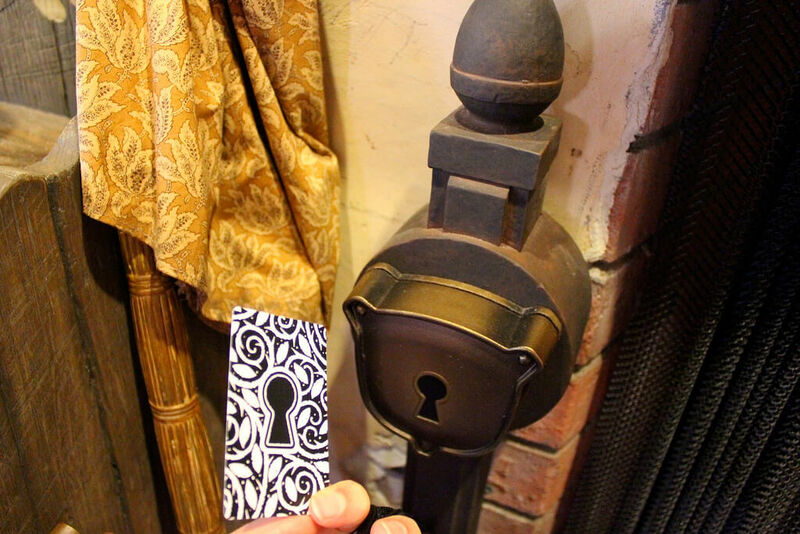 Like any of Disney’s attractions, the game is included with park admission, as are the spell cards needed to play. Tune in to Show 360 of our Inside the Magic podcast for the full interview with Jonathan Ackley, including these questions and a few more. To see more of Sorcerers of the Magic Kingdom, don’t miss our preview article from early guest testing. Hello would you mind stating which blog platform you’re working with? I’m going to start my own blog in the near future but I’m having a difficult time choosing between BlogEngine/Wordpress/B2evolution and Drupal. The reason I ask is because your design seems different then most blogs and I’m looking for something unique. These sorts of games mostly people prefer to play on leisure time. games actually help enhance brain function. There were not many options available for communication at that time. ‘ According to a post from the Rockstar Support page on Nov.
and attempting to kill one another. One essential requirement to play monster truck grades is to have the right grades. that consoles are becoming like computers. young and the old. Videogames are still a relatively new form of entertainment; the modern games industry has been around for less than 40 years. Emulateur XBOX 360 will allow you to engage in your favorite Xbox Games on your computer. games in pc. Wait no longer for your pc variation of the activities to be launched. pc using the latest instrument without any limits and go through the Xbox Gambling! 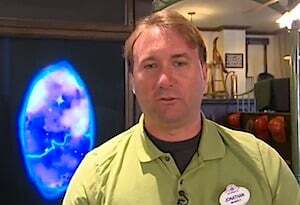 Older Older post: VIDEO: Interview with Imagineer Jonathan Ackley about Sorcerers of the Magic Kingdom, Blue Man Group update, attraction opening and closing news, and more.